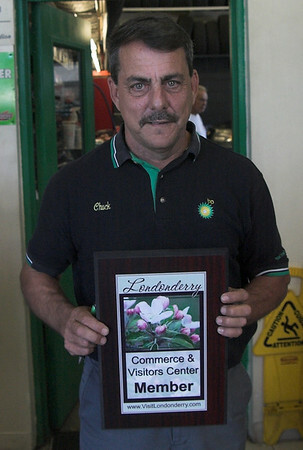 Since 1999, Chuck Massahos has operated his small gas and service station on the corner of Nashua Road and Mohawk Drive in Londonderry, New Hampshire. Promising quality gas, service, prices, and products, the BP of Londonderry may have changed names a few times but the business remains the same. Born and raised in the service station business, Massahos worked with his father and twin brother for many years before branching out on his own. In 1958, Massahos’ father owned a Gulf Station in Salem, NH. By 1972, the Gulf became the first Getty station to open in the entire New England area. As they got older, the twin bought out their father while Massahos ventured to Dover, NH, to begin his own Getty business. After an unsuccessful year, Massahos returned to the family business in Salem and helped run two of the four family-owned Getty’s in the area. However, Massahos still desired his own business but didn’t want to influence his brother’s business. In 1999, “this place came up and it was a good deal, so I figured I’d come up here and give it a gander and see what happens,” said Massahos of the current business. 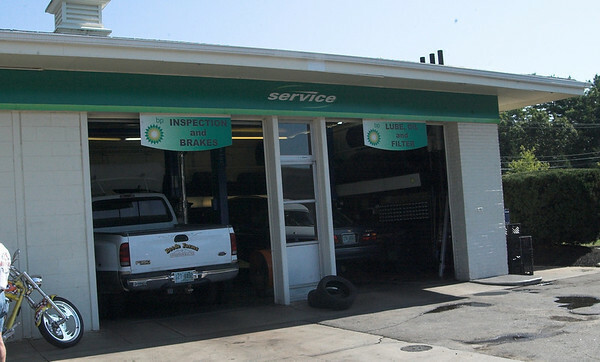 The BP of Londonderry service station works on all makes and models of vehicles. Massahos says the shop can handle repairs of all types, from major to minor, inspections to diagnostics, and transmissions to batteries. Unless special parts are required or delivery of parts is delayed, vehicles dropped off in the morning are typically finished by the end of the day. Customers come for repairs from all towns in the area, including Windham, Londonderry, Salem, and Lawrence, Massachusetts. 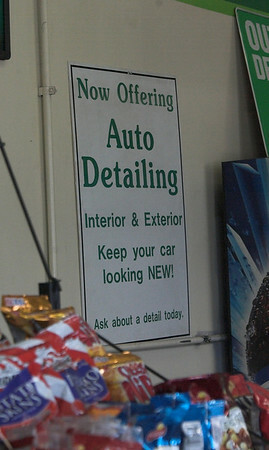 Massahos also stated that the Hampstead Police and the State Police vehicles are some of the shop’s biggest customers. The garage also inspects motorcycles, however does not work on them mechanically. BP of Londonderry also likes to stay involved in the community. The Knights of Columbus sell their Christmas trees each year and many local groups host car washes on site throughout the summer. Massahos allows the groups to host the events on his property free of charge and provides them with all the water they need. This allows the organizations to keep every dollar they earn. Summer car washes are booked for months and start in June and last well into October each year. The service station is open Monday through Friday from 7 AM until 5 PM and from 7 AM until 12 PM on Saturdays. Specials are offered on Mondays and Wednesday from 5 PM until 8 PM when customers can get oil changes and inspections done for only $29.95. The gas station and convenience store are open seven days a week from 6 AM until 9 PM. Be sure to stop in the BP of Londonderry located at 2 Mohawk Drive for some of the best gas prices and repair deals around!